There’s something to be said for taking your time. The mythological rise of San Francisco’s State Bird Provisions is a well-known proverb by now: industry veterans Nicole Krasinski and Stuart Brioza take a chance on a scrappy ex-pizza place in a neighborhood known for jazz and barbecue, buck current trends and place their menu on roving dim sum carts, throw everything in their arsenal at the walls to see what works and what doesn’t, win local hearts, then win a big mention from a big magazine and live happily ever after. That was in 2012, and the line of people waiting to get in, the story goes, has been down the street ever since. With such meteoric impact, the sweat and the stress and the vast constellation of details are often buried under the resulting cloud of breathless column inches. State Bird did not spring wholly-formed from Krasinski and Brioza’s joint cerebral storming: it was, and is, the product of careful plans jolted into life by gut instinct. It was built on minute-by-minute adjustments, and a really, really, really jazzy larder. In a field where the starring attraction is by its very nature temporary, a cookbook is the kind of tangible landmark that allows chefs and their creations to live outside of time. It’s an alluring possibility for an especially high-profile restaurant, and the temptation to strike while the iron is hot can be overwhelming. State Bird will turn six on New Year’s Eve of this year, a birthday preceded by the long-awaited release of a glossy, triumphant book. Who or what State Bird is, it would appear, is a playful arena for the familiar — shot through with a globe-trotting imagination. It may give the impression of a shape-shifting runaway train, but the perception of an off-the-cuff menu is driven both by format and a willing (and, trained) audience. It's savory pancakes and boatloads of kimchi and fried quail and puffs of bread and cheese you rip into with your hands. It's funky, and technical. It's a story of beginnings, not finality. And so, as any veteran chef will attest, the continuation becomes the success; no longer the carrot at the end of a stick that never stops moving, but the pursuit of that carrot. 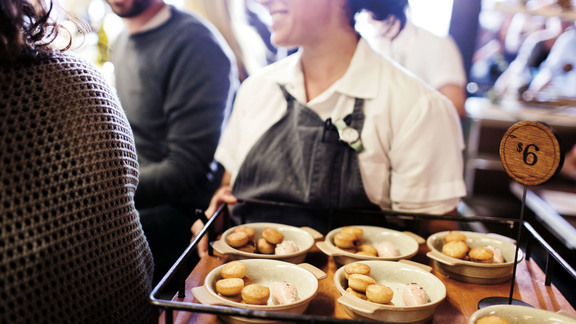 What doesn’t show is how much was going on next door—the opening of a whole other restaurant, The Progress, complete with private dining space—or the diligence it took to capture seasonal cooking at its natural pace. A full year of life in this corner of California is effectively contained in its pages, preserved, fermented, or otherwise, without getting too heavy-handed or devotional about it. “I do believe that people want to know the secrets. You have to read, and you have to dig in our book, but it's there,” Brioza continues. “Every recipe has got something to it that is unusual, or different, and that's what makes it so good. But we're also surrounded by those things every day.” “You're looking to be inspired by cookbooks. It's like owning a little piece of the foundation,” Krasinski says. 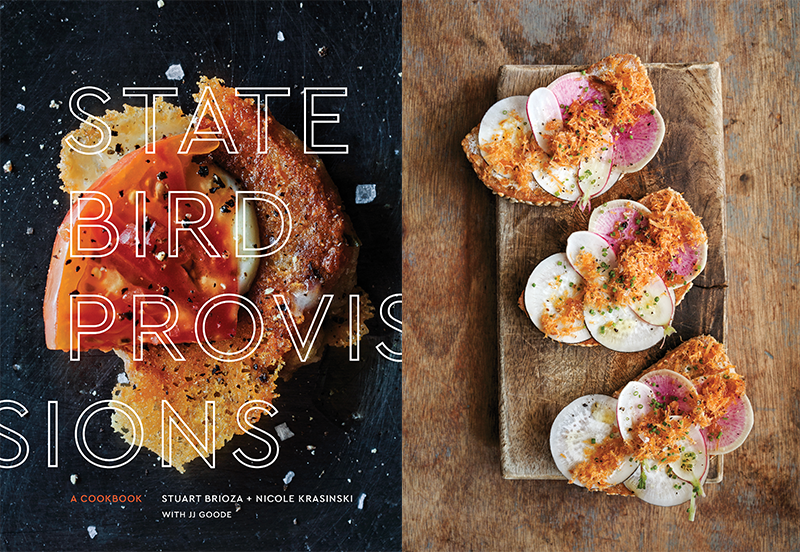 State Bird Provisions: The Cookbook is now available. Want to win a copy of your very own? (Uh, duh.) Enter our giveaway over on Instagram! The picky diners. The late night meetings. The amazing roti! 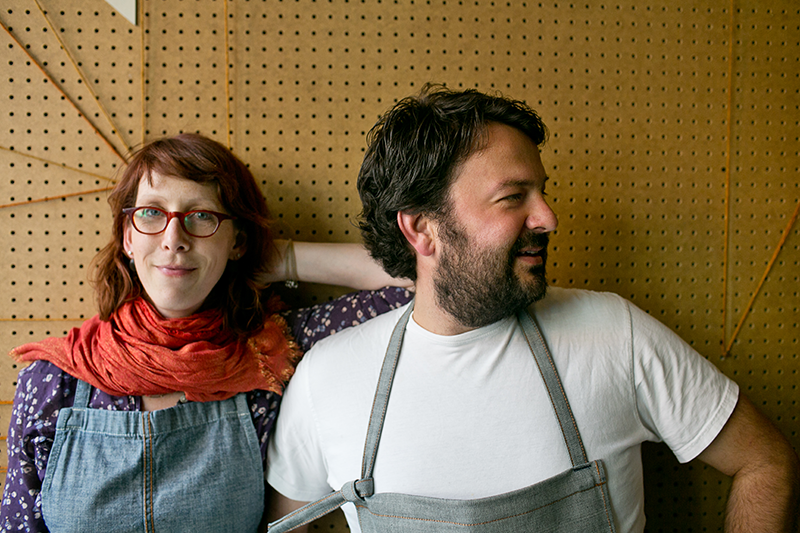 Go behind-the-scenes at Stuart Brioza and Nicole Krasinki's (State Bird Provisions) new restaurant The Progress. Opening Night immerses you in the rush of the unknown, as restaurants around the world open their doors for the first time. These things only happen once. Snag that coveted seat at the line, on us.